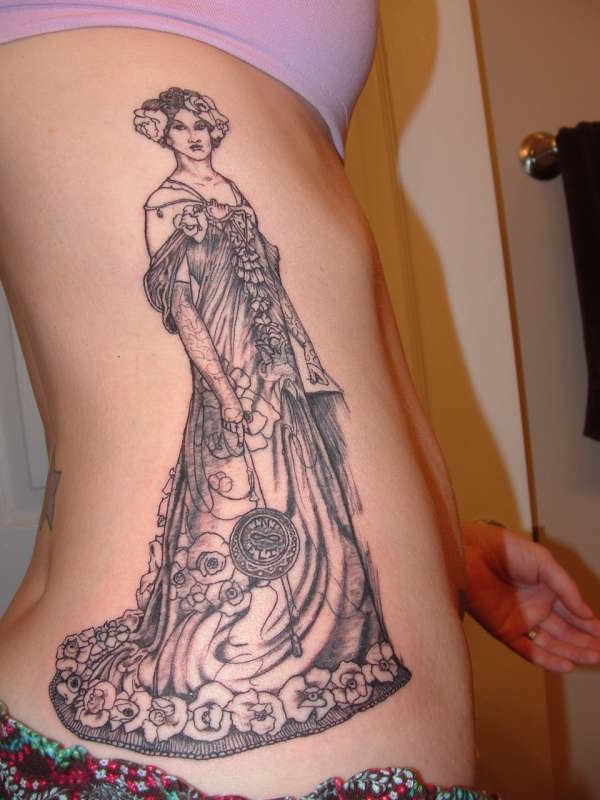 This is a drawing by Alphonse Mucha done on my right side. It was done at Wolf's Tattoo in Elizabeth City, NC. It took almost 6 hours to do and Wolf free-handed all the small details on her. He even added my 2 kids initials to it. See if you can find them. wow, i'm slow. I did find the initals. oh wow.. that is beautiful!